Children will develop at their own pace. They are unique and need to be treated as individuals with their own special requirements. The Montessori philosophy is to allow children to explore based on their own interests at the time. The environment is prepared for the children by the educators and they are encouraged to participate, but the choice of activity is up to them. 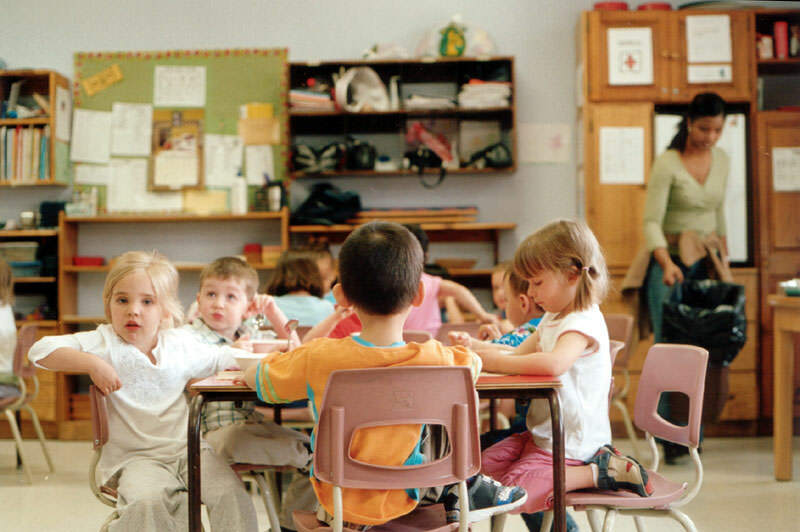 We know that when a child is interested, that is when learning occurs. The way this is done is by having 3 or 4 educators per classroom, so that when the children enter the room there are at least that many activities taking place and available to them. They take a look around to see what is happening, and then choose their activity. Once a child is done, he/she may put away the equipment, and move on to a new activity. Through this system teachers are able to provide structure however the child takes control of his/her own learning, a skill that is essential for success in future academic years. Throughout the day the child is welcome to work with friends, to socialize and interact with the other children, which again allows the child to guide his/her learning through his/her own needs and interests. In the classroom and on the playground, children learn the skills necessary to interact with others. 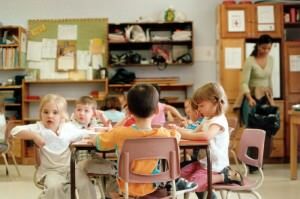 They learn what is appropriate behaviour and speech when playing or working with peers and adults. Teachers encourage the use of good manners throughout the day and extend these lessons into the greater community when the children travel on field trips or when guests come to perform at our Montessori. Many Montessori tools and activities are used daily to help with the development of the whole child. The Montessori material for practical life activities helps children learn how to dress themselves, how to pour their own glass of milk, how to tie their shoes, how to clean up at the table, how to wash their hands, as well as many other daily life skills. Fine motor skills are developed through the use of Montessori material such as the metal insets and the sandpaper letters. These materials encourage the child to manipulate and trace using his/her fingers or a crayon. Puzzles are an important part of the classroom material as well as they too help develop fine motor skills as well as intellectual skills. The arts and crafts program also encourages fine motor skill development. Language development occurs through everyday communication and story time, as well as through the use of Montessori material, which allows a hands-on approach to learning the sounds of the letters. The children at Montessori Pointe Claire consistently learn new vocabulary in English and in French. In the classroom emphasis is placed on reading books as well as on group discussions which allows the children to learn to speak in front of a group. 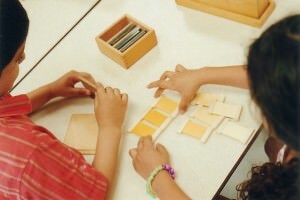 Mathematical skills are developed through the use of the red rods, brown prisms, counting chips and other Montessori materials in the classroom. The children also learn concepts of time, similarities and differences, placement in space and develop the ability to problem solve. This is done in many ways, including through the use of Montessori and other material, group discussions and special themes. The children that follow our program at Montessori Pointe Claire leave with greater self-confidence. They become more outgoing and assertive and are, most importantly, happy children. During their time at Montessori the children begin to realize that they can do things for themselves, they can ask for help when needed, and they can self regulate. This comes from being given choices, from having been taught skills that encourage independence, and from learning conflict resolution skills.